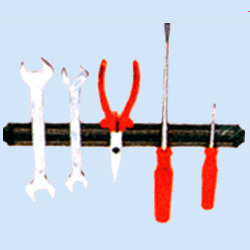 With our vast industrial experience and knowledge, we are offering a wide range of Magnetic Tool Rack. This Magnetic Tool Rack is recommended amongst the customers for using in workshops, garages and many others. Besides these, our offered Magnetic Tool Rack is sturdy and durable. In order to cater to the needs of our clients, we are involved in presenting a wide assortment of Magnetic Tool Rack in the market. The offered racks are designed as per the industry standards. We offer a durable and high performing range of magnetic tool rack that is useful for workshop, garages, and other application areas. 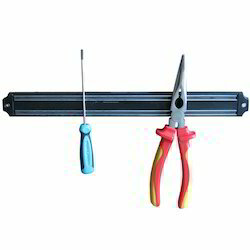 These are conveniently fitted on walls and hold spanners, tools, pliers, cutters, scissors and many more. The magnetic tool rack is also available in 100mm, 400mm and 800mm and 1200mm length models.